Yesterday as I was looking around the internet at speculation about what today’s FCS Football rankings might look like after 6 of the top 10 ranked teams lost I came across this article about programs suffering through disappointing seasons that mentioned Wyoming’s Craig Bohl. And it got me thinking about some of the past NDSU Bison coaches and the success (or lack thereof) they had at other programs, and how much of NDSU’s success is simply the culture here, the tradition of winning if you will. 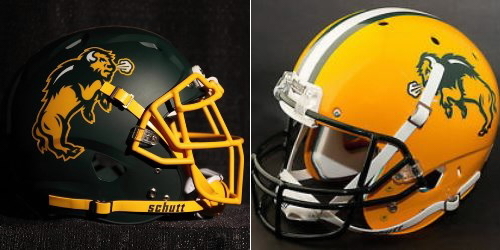 Since 1965 NDSU has won 12 National titles at Division II and Division I (FCS) levels and 28 conference titles. Since its inception in 1894, NDSU football has 671 wins, good for 37th all time and a winning percentage of .642. Since the rise of NDSU Dominance in 1963 under Darrell Mudra the team has gone 476-134-4 for a winning percentage of .775. “A big reason for the gender pay gap is that men and women tend to work in different jobs. Men dominate higher paying jobs, engineering, construction mining, and women dominate jobs like teaching and social work,” Bach explained. Today, the pay gap is smaller – 74 cents on the dollar, or 97 cents when we control for factors like occupation, experience, and skills, per PayScale’s report, Inside the Gender Pay Gap.